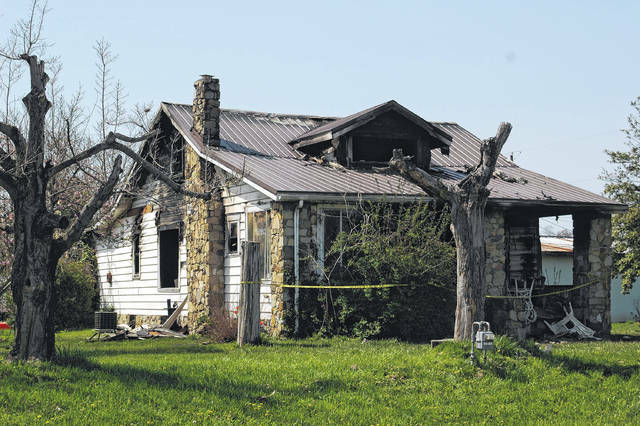 The house, located north of Gallipolis on Ohio 7 experienced fire damage Tuesday evening. The incident is still under investigation. A water rescue happened on Ingalls Road Thursday morning. There were no injuries reported. Gallipolis Fire Department personnel responded to Ohio 7 north of the city Tuesday evening in response to calls for a structure fire at a residence. The Point Pleasant Fire Department also responded to the call to assist with manpower and water supply. The structure is still standing, although according to Josh Staley with the Gallipolis Fire Department, the residence sustained significant damage. At press time, the Ohio State Fire Marshal’s Office is currently investigating the fire to determine the cause of the blaze. Nobody was home at the time of the fire, according to Staley. Heavy smoke from fire caused traffic issues on Ohio 7 north, shutting down the roadway for several hours. Calls came into Gallia 911 Thursday morning of a vehicle in the water on Ingalls Road in the area of Baker’s Landing in Green Township. Gallipolis Fire Department personnel responded to the scene for a high water rescue, as a single female occupant was reported. Once on scene, two firemen were able to rescue the driver from the vehicle through the passenger side. 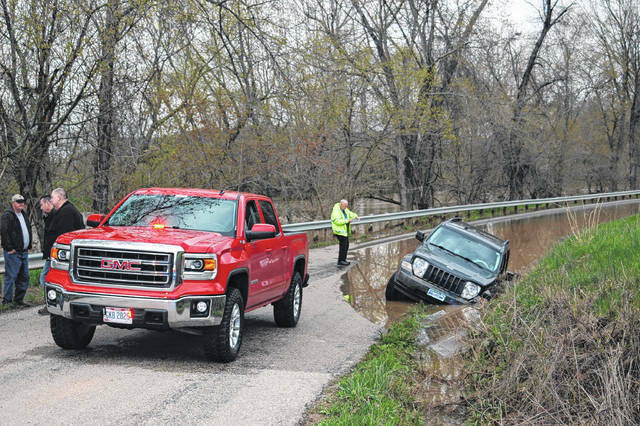 According to Mike Null, assistant chief with Gallipolis Fire Department, it appeared the driver had ended up off the left side of the road, opposite Raccoon Creek, and the vehicle was located in the ditch with water covering a large portion of the driver’s door. The driver was removed from the vehicle before the rescue boat arrived on scene, and the call was handled without any injuries reported. The Ohio State Highway Patrol is investigating the incident.